GREAT MILES 44,388! JUST REPRICED FROM $32,995, PRICED TO MOVE $300 below NADA Retail! 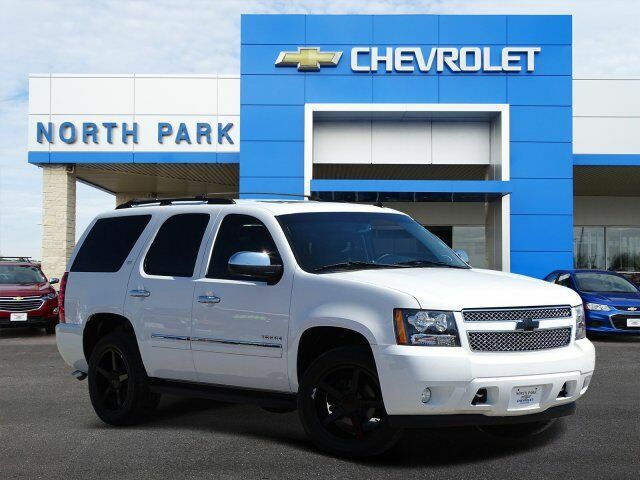 Heated Leather Seats, DVD, 3rd Row Seat, NAV, Alloy Wheels, Quad Seats, 4x4, Tow Hitch, SUN, ENTERTAINMENT AND DESTINATIONS P... READ MORE! Leather Seats, Third Row Seat, 4x4. SUN, ENTERTAINMENT AND DESTINATIONS PACKAGE includes additional 9 months of SiriusXM Radio and NavTraffic service, (CF5) power sunroof, and (U42) rear seat DVD entertainment system. LT also includes (UYS) audio system with navigation, (DD8) inside rearview auto-dimming mirror and (UVC) rear vision camera system, LPO, THEFT-DETERRENT WHEEL Security system that sets off the vehicle alarm system if the vehicle is jacked up or towed - designed to protect 20"/22" upsize wheels, AUDIO SYSTEM WITH NAVIGATION, AM/FM/SIRIUSXM STEREO WITH CD PLAYER 7-inch touch-screen Color Interface Display (CID), 30 gig usable Hard Drive storage space, with navigation and voice recognition, USB port, MP3 playback capability, Radio Data System (RDS), speed-compensated volume, time shift recording capability (STD), ENGINE, VORTEC 5.3L V8 SFI FLEXFUEL with Active Fuel Management, capable of running on unleaded or up to 85% ethanol (with gas - 320 hp [238.6 kW] @ 5400 rpm, 335 lb-ft of torque [452.2 N-m] @ 4000 rpm, with E85 ethanol - 326 hp [243.1 kW] @ 5300 rpm MP3 Player, Rear Seat Audio Controls, Keyless Entry, Remote Trunk Release, Privacy Glass, Steering Wheel Controls, Electronic Stability Control.